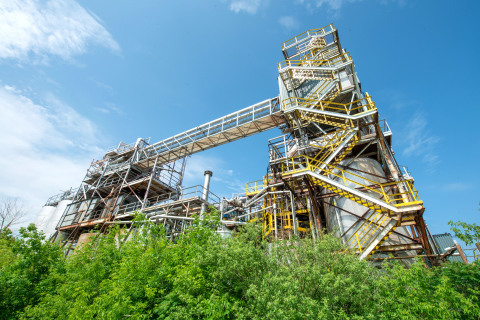 Bartek Ingredients Inc., the world’s largest producer of malic acid and food-grade fumaric acid, announced the successful completion of a 4,000 ton/year capacity increase of its malic acid production facilities. The first in a series of capital investment projects to support its growing acidulants business, Bartek is expanding capacity and capabilities to allow for greater flexibility and support of its food, beverage, and confectionery; animal nutrition; and industrial customers. Additional projects scheduled for completion in 2019 include state-of-the-art upgrades to Bartek’s laboratories and office facilities. These projects position Bartek to answer the growing global demand for malic acid, fumaric acid, and maleic anhydride and to support its customers’ growth and innovation needs. Bartek’s specialty products portfolio delivers wide-ranging benefits to the markets it serves, improving taste, efficiency, and efficacy for brands around the globe. Distributing to over 35 countries, Bartek ingredients impart desirable sourness in food, beverage, and candy applications; displace antibiotics in animal feed; and provide versatile solutions for a wide range of industrial applications. The 2019 schedule of capital improvement projects represents Bartek’s continued commitment to its customers worldwide and TorQuest’s ongoing commitment to cultivate that growth. Established in 1969, Bartek Ingredients Inc. is a leading producer of malic acid, fumaric acid, and maleic anhydride. Headquartered in Stoney Creek, Ontario, Canada, Bartek employs 115 people across its two production facilities in Southern Ontario. Bartek’s facilities are registered to the ISO 9001:2015 Standard. Bartek also holds the BRC Global Standard for Food Safety certification, and it distributes to more than 35 countries around the world. For more information about Bartek, visit bartek.ca/.